In 2015, we got the results of our triennial member survey. This is a crucial opportunity for us to hear directly from our members where we can be better. 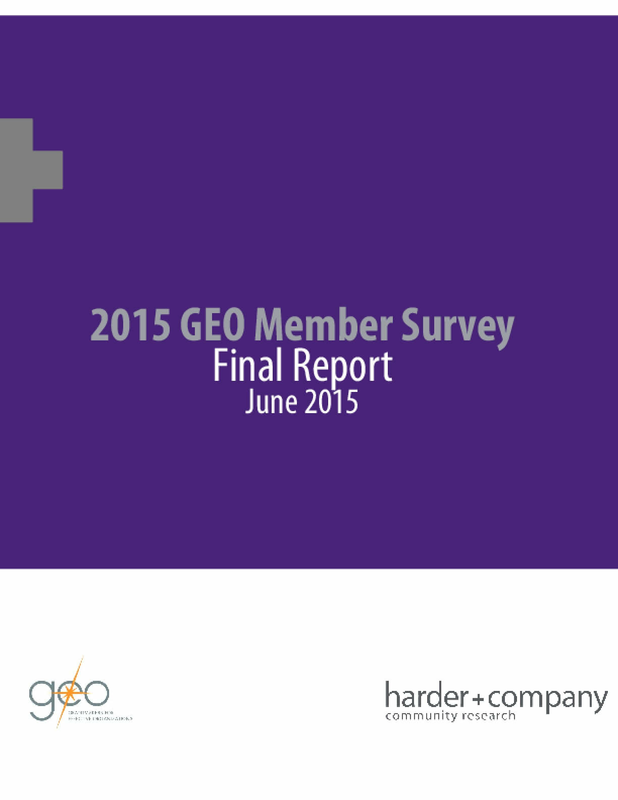 We are pleased that fully 99 percent of members rated their experience with GEO favorably. Three quarters reported that GEO increased their awareness of practices that support nonprofit success. Over half reported that GEO helped them improve their practice. Copyright 2016 by Harder+Company Community Research. All rights reserved.